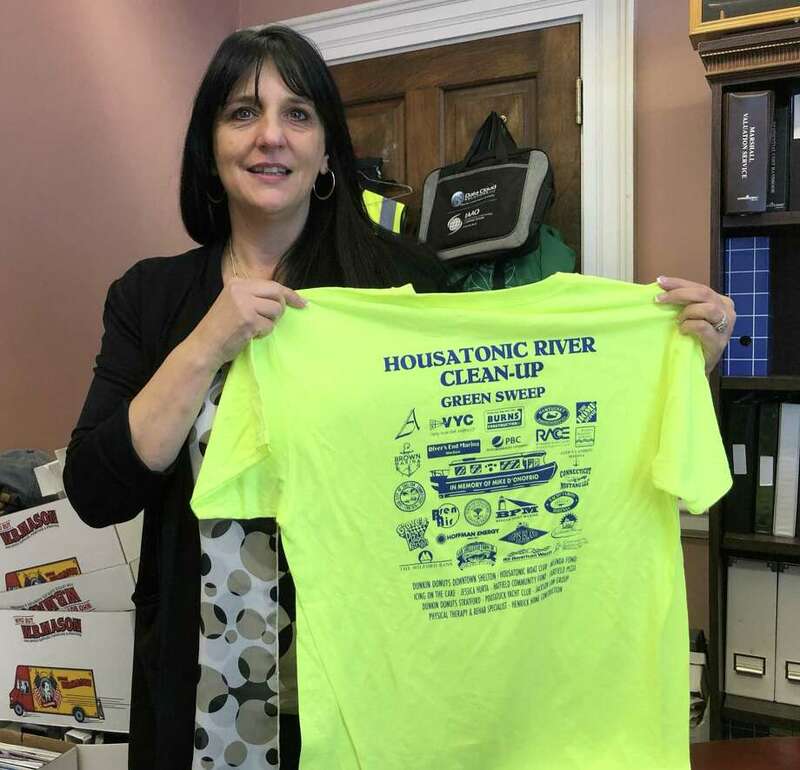 Stratford Tax Assessor Melinda Fonda, who will retire from the post April 26 to take a new job elsewhere, holds a T-shirt for the annual Housatonic River Cleanup, scheduled for April 27. STRATFORD — Melinda Fonda, the town’s tax assessor, is retiring this month. In a letter she sent to Mayor Laura Hoydick on Monday, Fonda said her last day on the job would be April 26. “The decision to leave was not easy as I have truly invested myself in the Town of Stratford; however the next chapter of my life awaits a new challenge, a new adventure,” Fonda wrote to the mayor. In an interview Tuesday, Fonda said she was leaving to pursue an employment opportunity elsewhere, but declined to say where. Fonda received $130,284.33 in compensation last year from the town. She was hired May 25, 2007, Human Resources Director Ron Ing said Tuesday. Michael Downes, the mayor’s chief of staff, said the town would conduct a search for an ideal candidate to replace Fonda. In the meantime, “we have capable staff ready to step in if need be,” he said. Fonda said the relationships she’s built with residents and town employees made her departure difficult. In addition to her work as assessor, Fonda also served on the executive board of the International Association of Assessing Officers, and in various capacities with the Connecticut Association of Assessing Officers. She won a “Presidents Award” from the IAAO last month. She also helped coordinate an annual cleanup on the Housatonic River in Stratford and Shelton. This year’s event is scheduled for April 27 — a day after Fonda’s last day on the job in Stratford. “I’ll still show up,” Fonda said Tuesday. Editor’s note: An earlier version of this story said Fonda was resigning. According to the town’s human resources director, Fonda is technically retiring from the position.